“Shaykh Ṭanṭāwī Jawharī was an Egyptian exegete known for having produced a scientific interpretation of the Qurʾān. A pioneering scholar in terms of familiarising the people of his time with many previously neglected matters regarding Islam and science, his publications shocked the Cairo educational system and other Muslim places of learning in the early twentieth century. This book examines the intersection between Ṭanṭāwī Jawharī and Egyptian history and culture, and demonstrates that his approach to science in the Qurʾān was intimately connected to his social concerns. Divided into three parts, part one contains three chapters which each introduce different aspects of Ṭanṭāwī Jawharī himself. The second part explores the main aspects of his tafsīr, discussing his approach to science and the Qurʾān, and how he presented Europeans in his tafsīr, and then addressing the impact of his tafsīr on wider Muslim and non-Muslim society. 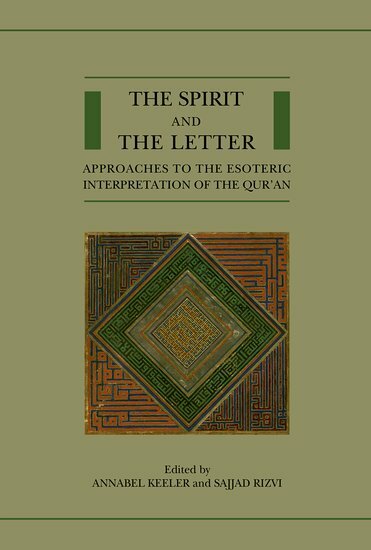 The third section draws attention to the themes from all 114 sūras of the Qurʾān that are discussed within his commentary. It then analyses the current status of his views and the post-Jawharism perspective on science and the Qurʾān, both today and in an imaginary future, in 2154. Daneshgar, Majid. Ṭanṭāwī Jawharī and the Qurʼān: tafsīr and social concerns in the twentieth century. Abingdon: Routledge, an imprint of the Taylor & Francis Group, 2018. On Tuesday, November 29, 2016, Andrew Rippin passed away at his home in Victoria, British Columbia. Professor Emeritus at the University of Victoria since 2013—where he was formerly Professor of History and Dean of the Faculty of Humanities, Andrew (or Andy as he was known to some)—was an esteemed colleague, revered mentor, and scholarly inspiration to many members of the IQSA community. Since entering the fields of Qur’anic and Islamic Studies in the 1980s, Andrew’s scholarly output was immense, helping to shape these fields for almost four decades: he was author or editor of two dozen well-known textbooks, anthologies, and thematic volumes; around eighty journal articles and book chapters; and literally hundreds of encyclopedia entries and reviews. For scholars of the Qurʾān, Andrew was perhaps best known for his profound impact on the study of tafsīr in particular. Viewed collectively, his numerous surveys of the field and introductory works allow the student of the Qur’an and its interpretation to grasp both the immensity of the field and appreciate its transformation over the decades since he published his earliest attempt to take stock of the state of the field, “The Present Status of Tafsīr Studies” (Muslim Studies 72 : 224-238) some thirty-five years ago. Seeking to apprehend the full range of subjects covered in Andrew’s publications, one is struck by the sheer breadth of his interests and expertise. Already in the articles published during his first decade or so of activity in the field of Qurʾānic Studies, Andrew touched on a number of subjects that would be of interest to him throughout his career: the complex relationship between doctrine, grammar, and lexicography in the formation of the tafsīr tradition; the intertwining of Qurʾān and tafsīr with Jewish and Christian scriptural, parascriptural, and exegetical cultures; the benefits that bringing epigraphic and archaeological data to bear in the interpretation of the Qurʾān might potentially yield; the origins of Muslim attempts to impose hermeneutic frameworks linked to the biography of Muḥammad and accounts of the process of revelation such as naskh and asbāb al-nuzūl upon the Qurʾān; and the construction of authority figures in the received tradition—most notably ʿAbd Allāh Ibn ʿAbbās (d. 68/687)—to demarcate certain strands of exegesis as ancient in pedigree and thus of greater legitimacy. Today, Tafsīr Studies has clearly emerged as a vibrant field of inquiry. That it should be so is in no small part due to Andrew’s tireless efforts to establish it as such. Andrew long advocated for scholars to take seriously the worlds of meanings and symbols which were produced by classical commentaries on the Qurʾān so that tafsīr and other branches of ʿulūm al-Qurʾān could be seen as significant in their own right, and not simply as records of transmitted traditions. That is, he emphasized the necessity of striking a balance between reading the Qurʾān on its own terms and appreciating the importance of how Muslims have made sense of the Qurʾān as scripture over the last 1,400 years of Islamic history. It is no exaggeration to say that both the revival of interest in the study of the Qurʾān over the last decade and the flourishing of the study of tafsīr in the same period were greatly encouraged by Andrew’s contributions in publishing, teaching, and mentorship. It is supremely fitting that Andrew has been honored with a Festschrift edited by Majid Daneshgar and Walid Saleh that has just been published by Brill: Islamic Studies Today: Essays in Honor of Andrew Rippin, featuring chapters by some twenty prominent contemporary scholars of Islam as well as two vivid personal tributes by Jane McAuliffe and Claude Gilliot. We remember in particular with gratitude that Andrew Rippin served as the inaugural president of IQSA in 2014. An address which he gave on that occasion can be downloaded here. On November 18 and during his final days the IQSA board of directors announced the Andrew Rippin Best Paper Prize, awarded to an outstanding paper delivered at the annual meeting. Since the announcement of this prize a number of contributions have been received in Andrew’s name. The richness and sophistication of the contributions to Andrew’s Festschrift is testimony to the massive impact Andrew has had, though the short biographical notes and comprehensive bibliography one may find there only capture his contribution to the field in largely quantitative terms. The depth of his true impact is almost unfathomable, judging from the hundreds of students, colleagues, and friends he influenced over the decades, and who will remember Andrew as the very model of thorough, exacting, yet humane and engaged scholarship. Due to the richness of the root kh-l-f with its manifold meanings, the interpretation of khalīfah in the Qur’an has often eluded pre-modern and modern interpreters alike. To complicate things further, khalīfah also came to be used as a political title, “caliph,” for the ruler of the Muslim community following the death of the Prophet Muhammad. Hence the question, how much of a connection did Qurʾānic exegetes make between the Qur’anic khalīfah and the ruling caliph? In answering this question for the Umayyad period, Wadād al-Qāḍī argues that early exegetes such as Mujāhid b. Jabr (d. 103/721), Muqātil b. Sulaymān (d. 150/767), and Sufyān al-Thawrī (d. 161/777) generally did not go to great lengths to legitimate Umayyad rule by associating the Qur’anic khalīfah with the reigning caliph, but rather identified the Qur’anic term with Adam and humankind in general, who are said to have succeeded or replaced the jinn or angels on earth. However, the boundaries between scriptural hermeneutics and political discourse became increasingly blurred as later exegetes, beginning with al-Ṭabarī (d. 310/923), introduced new clusters of terminology associated with the historical Caliphate into their interpretations of the term khalīfah in the Qur’an. In defining khalīfah in his tafsīr, al-Ṭabarī claims that “the supreme ruler (al-sulṭān al-aʿẓam) is called khalīfah, because he replaces the one who was before him, and takes his place in the affair, and is his successor (khalaf).” Most commentators after al-Ṭabarī, such as al-Thaʿlabī (d. 427/1035), al-Māwardī (d. 450/1058), and al-Wāḥidī (d. 468/1076), built on and reworked his interpretation of the term. Alongside this development, exegetes from the sixth/twelfth century onwards, such as al-Baghawī (d. 516/1122), Ibn al-Jawzī (d. 597/1200), al-Rāzī (d. 606/1209), and al-Qurṭubī (d. 671/1272), emphasized Adam’s role as khalīfat Allāh (itself a caliphal title meaning “deputy of God,” which was hitherto not used as part of the exegetes’ terminological cluster for their interpretations of Q 2:30) in implementing God’s rulings (aḥkām), commands (awāmir), and punishments (ḥudūd). These duties are largely similar to the ones used to define an imam-caliph at the beginning of every chapter on the Caliphate/Imamate found in kalām writings and certain works of fiqh, most notably in al-Māwardī’s al-Aḥkām al-sulṭānīyah and al-Ghazālī’s (d. 505/1111) al-Iqtiṣād fī’l-iʿtiqād. However, the reading of khalīfat Allāh into the Qur’an did not go entirely unopposed by all exegetes, with the most explicit objection coming from the Andalusian exegete Ibn ʿAṭīyah (d. 541/1147). Al-Thaʿlabī states that “in [Q 24:55] is a clear indication of the righteousness of the caliphate of Abu Bakr and the imamate of the rāshidūn caliphs.” Over time, the verse became a polemical platform for later Sunni exegetes such as al-Rāzī and al-Qurṭubī to establish the legitimacy of the four rāshidūn caliphs against Shiʿi claims that the Prophet Muhammad had designated ʿAli as his successor. After the sack of Baghdad and the fall of the ʿAbbasid caliphate in 656/1258, most exegeses of the term khalīfah relied on those of previous generations. But with al-Qurṭubī’s commentary on Q 2:30, we come across the most explicit connection made between the qur’anic khalīfah and the Caliphate in reality: “This verse is the basis for the appointment of an imam and a caliph who shall be heard and obeyed, so that opinions will be united through him and [his] rulings will be implemented.” At this point he incorporates a full juristic discourse on the Caliphate reminiscent of al-Māwardī and al-Ghazālī. The Sunni discourse on the Caliphate—detailing arguments for the necessity of the Caliphate, the duties and requirements for the caliphal candidate, arguments against the Shiʿi conception of the Imamate, and other juridical issues surrounding the Caliphate—is thereby used as a hermeneutical device to explain Q 2:30. Writing about a century later, Ibn Kathīr (d. 774/1373) quotes al-Qurṭubī’s juristic discourse on the Caliphate (in an abridged form) despite inclining more towards the view that the qurʾanic term khalīfah refers to humankind in general. In sum, to fully understand how exegetes understood the qurʾanic term khalīfah over time, one has to take into account the shared language between tafsīr and political discourse during the medieval Islamic period. The title khalīfat Allāh used in caliphal rhetoric, Sunni historical narratives of the four rāshidūn caliphs, and juristic discourses on the Caliphate left an imprint on the many interpretations of qurʾanic verses containing the Arabic root kh-l-f. This does not imply that exegetes were using such verses to legitimate the Caliphate, the consequences of which would be unthinkable for an exegete’s scholarly reputation. Rather, the exegetical commentaries on the qurʾānic khalīfah speak to the porous boundaries of tafsīr and the need to be sensitive towards not only the socio-political but also the intellectual and discursive contexts in which exegetes operate. * Han Hsien Liew is a Ph.D. candidate in history and Middle Eastern studies at Harvard University, currently writing a dissertation on Sunni discourses on the Caliphate/Imamate between the 5th/11th and 7th/13th centuries. This blog post is based on his article newly published in Arabica 63, no. 1 (2016): 1-29.